no-sharpening-needed microtip to line, define and fill in brows with hairlike precision. Achieving perfectly shaped and shaded eyebrows has never been easier. Mary Kay® Precision Brow Liner allows you to define your best brows with hairlike precision. With a tip so tiny, it’s easy to stay in control and make feathery strokes exactly where you want them. From subtle to bold — the blendable, buildable color allows you to put your best brows forward any way you choose. No matter your brow know-how, with this smooth-glide liner, you’ll be an expert. Select the shade that best complements your hair color, and make soft strokes for natural-looking brows with true definition and a fuller appearance. Then face your day without fear — the lifeproof claim means your perfectly polished brows won’t smudge, smear or fade whatever the workday, workout or weather. 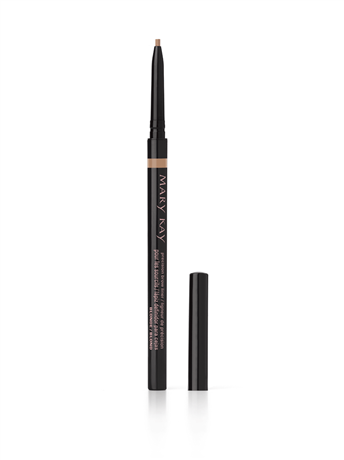 Mary Kay® Precision Brow Liner features a thinner, more fragile tip. To avoid breakage, do not twist up tip all the way. 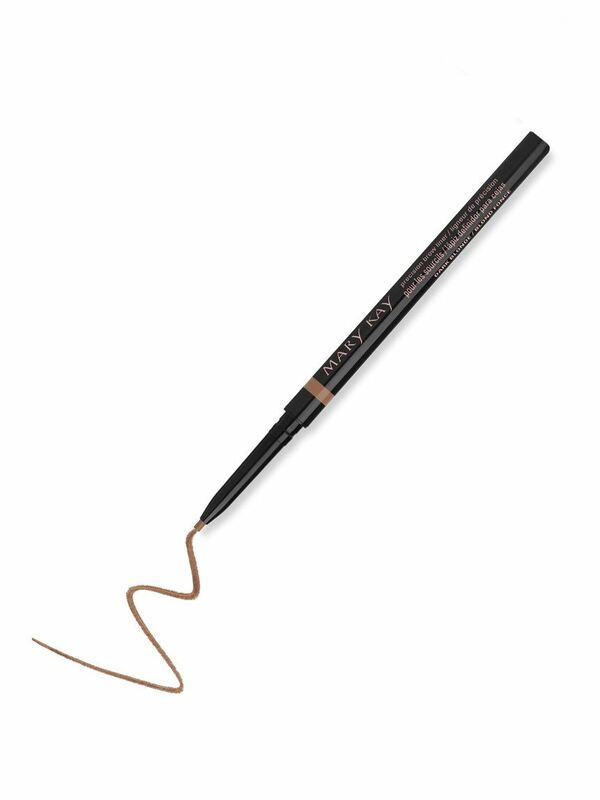 Twist up just enough product to line, define and fill in brows with featherlight strokes.